I mean being haunted by the kind of stories that make it to the Magandang Gabi Bayan Halloween Special. I said 'We ended up..' because all of us participants did not know where we were headed that night. We joined Experience Philippines' Haunted Road Trip. This is not your ordinary tour group. The guys from ExPH took the idea that most adventure-seekers have always had in mind and turned it into reality - going on a road trip, not knowing where everyone's headed, and ready to be surprised with the randomness of it all. Before the trip, we were told to bring these things: sleeping bag, rosary, headlamp, and Holy Water. I initially thought we'd be sleeping in a hut with no lights in the middle of nowhere. As it turned out, I was close to guessing it right except that the hut was actually Bahay na Pula, a well-known haunted house in San Ildefonso, Bulacan sitting right in the midst of a huge chunk of property, surrounded by unkempt grass, and without access to electricity. 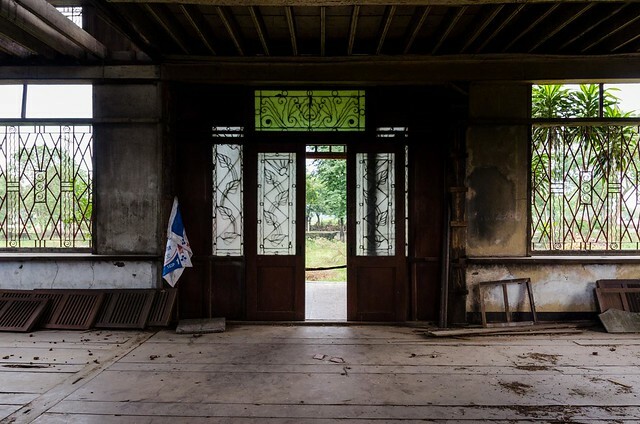 If you follow local haunted stories, you'll know that the owners of Bahay na Pula abandoned the house after Japanese soldiers used it as their barracks. Stories of paranormal occurrences have been reported since. 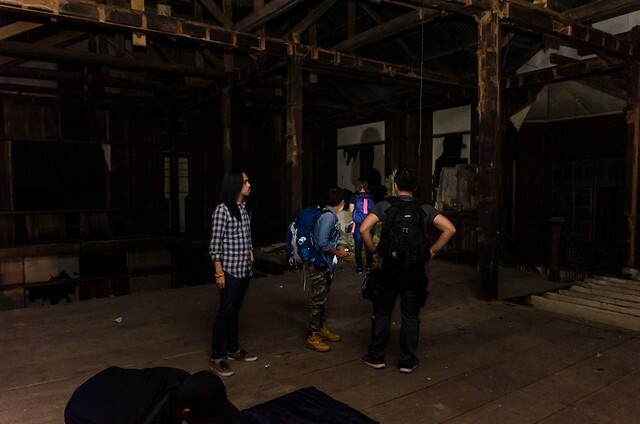 More than a haunted house, the house serves as a reminder of a dark time in Philippine history when the Japanese took women, both young and old, as comfort women. Unfortunately, news of demolition broke out in August of this year. If you are curious to see Bahay na Pula, it might be too late now. 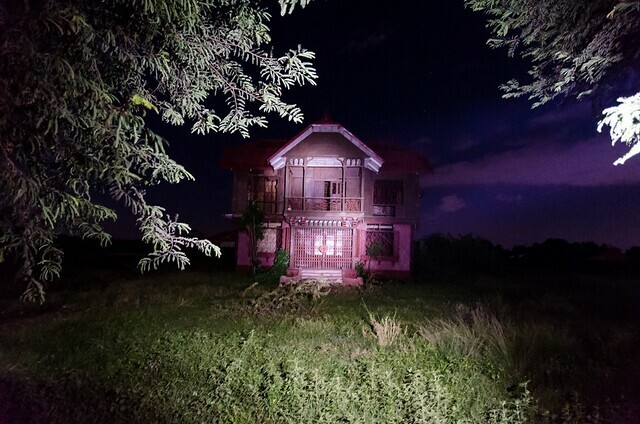 We arrived late into the night after visiting a couple of other haunted houses in Nueva Ecija. The air was filled with excitement, curiosity, and a twinge of fear. The house had an eerie feeling to it, the kind that would make you talk in hushed tones and with the constant awareness that we were in the same place where crimes against humanity were committed. We were told that this is where we would stay the night. I chose to sleep by the balcony with the view of the highway and occasional cars passing by. I thought it was a better view compared to seeing the walls of the house with its gaping holes. The group was in a chatty mood the whole night, sharing stories, munching on junk food, and laughing with other participants. I'd say that the group was not an easily scared bunch. Maybe it was our way to drive the fear away and to ignore how quiet the house was if it weren't for our voices. Looking back, I was frightened of the possibility of actually seeing something out of the ordinary. I remember sleeping with a blanket covering my face just in case I wake up in the middle of the night. They say "Close your eyes to make it go away" but who wants to see it anyway? I'd rather not see whatever it is in the first place. Other road trippers have their own spine-chilling stories to tell about the entire experience. Nothing happened to me though. I say that as a form of relief (Thank you!) and not as a challenge for paranormal entities to show up. Sleeping at Bahay na Pula was definitely the highlight of the Haunted Road Trip. The rest of the trip was deftly planned with the Halloween theme in mind - from a welcome dinner of dinuguan, sharing horror stories under a huge acacia tree, to visiting caves in Biak-na-Bato where the souls of Katipuneros are said to be still roaming. 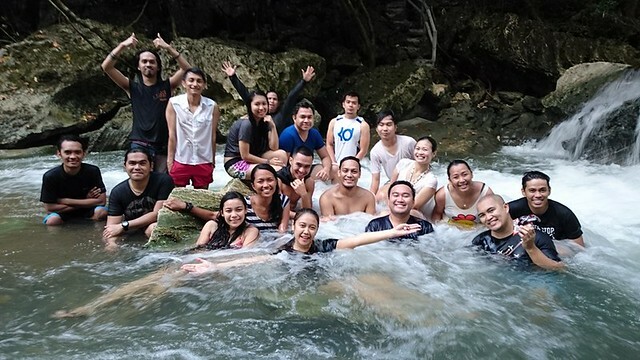 After a night of exploring the paranormal, dipping in the falls of Biak-na-Bato to literally wash our fears away was a fitting ending. This year, ExPH is cooking another spooky Haunted Road Trip on October 29-30. If you want to get the real Halloween thrill this year, click on the link to register.